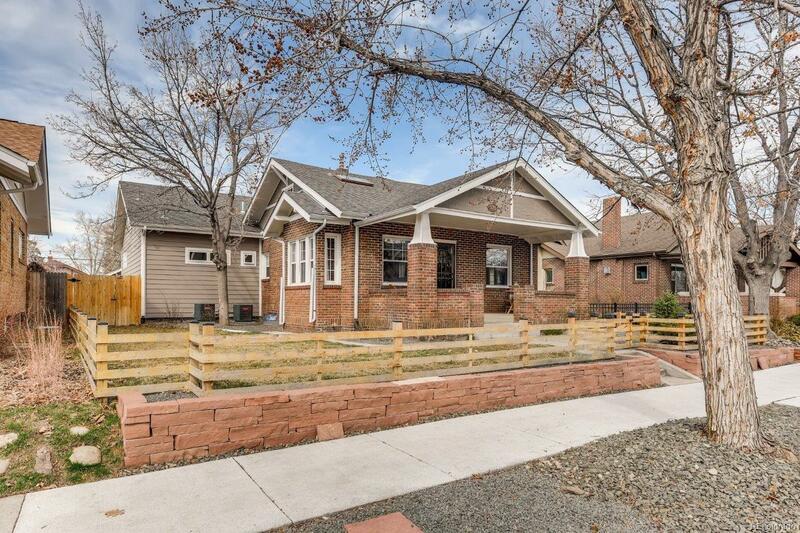 Located in the highly sought-after Platt Park neighborhood, this beautiful property has been tastefully renovated and completely redesigned using quality construction with a large addition in 2016. The house is a perfect blend of old and new. The interior is updated with modern high-end finishes while the exterior maintains the charm of the bungalow. Offering a modern, comfortable living space including a spacious family room with high ceilings, stacked stone fireplace and patio doors leading to a private backyard. The elegant main floor master suite boasts a 5-piece bath, heated floors and dual walk-in closets. The basement offers a large bonus room, guest suite, laundry room and huge storage area. Other features include: large lot, backyard studio/office, oversized garage and owned solar panels. Living in Platt Park has many advantages. The heart of South Pearl Street with the Farmerâs Market and all its popular shops and restaurants is only a few blocks away.